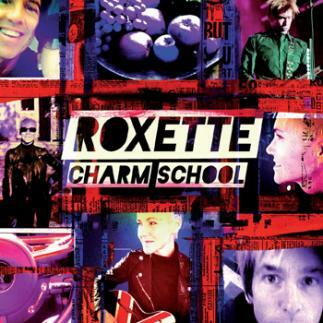 Roxette back with a new album: "Charm School"! On February 11 the unlikely becomes reality. After 25 years as a world-famous act with 70 million albums sold, one of Sweden’s biggest pop groups steps back into the spotlight, a decade after their last studio album "Room Service". They do it with "Charm School", a new album with twelve songs in a style that’s best described as "updated classic Roxette", from the initial power pop fireworks of "Way Out" to the bittersweet closer "Sitting On Top Of The World". First Marie Fredriksson and Per Gessle were reunited on stage to perform "It Must Have Been Love" and "The Look" during Per’s "Party Crasher" tour in Amsterdam. And before the fans knew it, Roxette made a full-scale comeback as headliners during the "Night of the Proms" tour in front of more than 600.000 people in Holland, Belgium and Germany. "By then we started to think ahead and plan for the possibility of making a new album – an album that captured everything that’s good about Roxette while still looking ahead", says Per Gessle. Said and done. During the tour, the band’s hotel rooms were transformed into recording studios where a string of new Roxette songs took shape. Back home in Sweden the work continued during the spring and autumn of 2010. Just as when the band recorded during their heyday there were lots of songs to choose from. The sensitive ballad "In My Own Way", for example, is a rediscovered gem from 1984, when the dream of international recognition still was just a dream. The newest song is the extremely infectious groove-master "She’s Got Nothing On (But The Radio)", written this autumn. In-between there’s everything that has made Roxette one of the world’s most radio played pop groups; the clinging melodies, the passionate delivery, the humorous pop sense and the unique mix of Marie Fredriksson’s and Per Gessle’s voices. All wrapped up in a musical package that is unmistakably 2011. "For me the starting point has always been to write songs for Marie’s voice. She got this ability to make you believe every word she sings, and that’s why she brings the stories to life. As a songwriter that’s an incredible gift to be a part of", Gessle says. The album is recorded in the south of Sweden and Stockholm with Clarence Öfwerman and Christoffer Lundqvist as producers (together with Per and Marie). "Charm School" is a magnificent return to form after ten years of trials and challenges. Or as Marie Fredriksson sings in one of the album’s quintessential tracks: "No One Makes It On Her Own". Hear the school bell ring on February 11.